Last week I attended a destination wedding as a plus one with a dear college friend. Weddings are weddings, but after the cabanas, packs of coatis roaming the hotel grounds, and breakfast buffets, we headed down to stay 3 nights and 4 days in Tulum. According to Mexico’s Ministry of Environment and Natural Resources, 80 percent of the cenotes in the Yucatán Peninsula have some level of contamination, and researchers have found traces of the entire Tulum consumption cycle: skin-care products, cocaine, Viagra, and ibuprofen. The town of Tulum, whose main road hosts a mix of souvenir stalls, shops, restaurants (some boasting vegan and gluten-free options, others serving up tacos at the speed of light to locals and ex-pats), was a more positive experience. 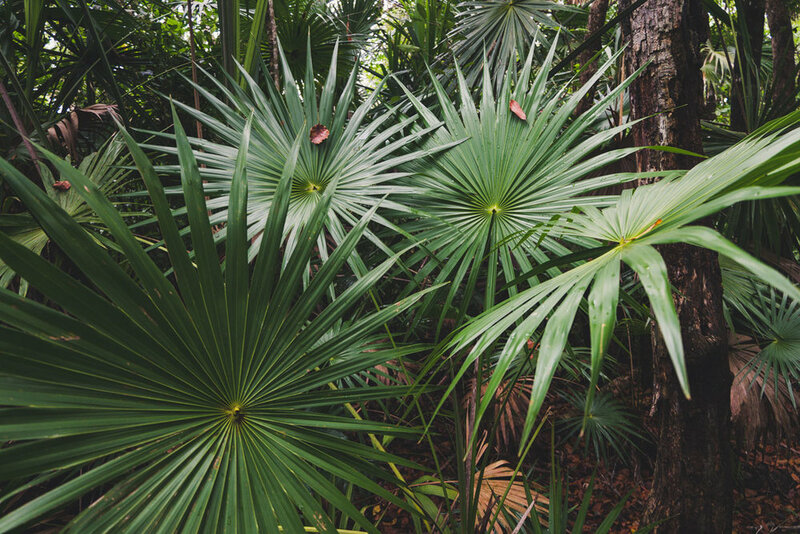 After flirting with heat stroke the first day in Tulum, it mercifully rained the following day and we took a trip down to the Muyil ruins and walk through the Sian Ka’an biosphere reserve. 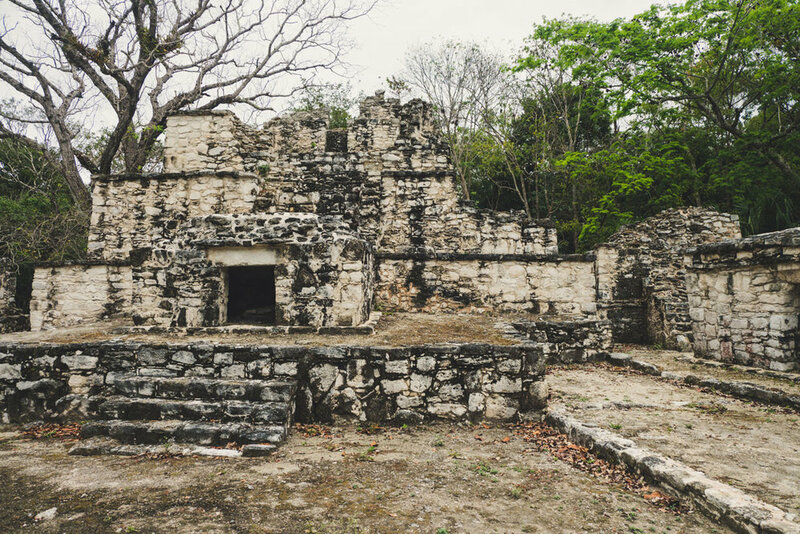 About 9 miles south of Tulum, Muyil (also known as Chunyaxché) was an important trade city due to its location near the sea and two lagoons. After the Europeans showed up with their diseases and nefarious quest for shiny objects, Muyil was abandoned. The tallest structure at the site. The large temple at Muyil. The buildings were painted (you can see some of the red on the rocks), which was news to me. Of course the last time I really studied Mayan culture was for a 6th grade social studies project that did not receive an A+. Close up of the temple. I’ve since read that the Sian Ka’an reserve contains multiple Mayan settlements that you can visit by boat. If I’d had more time or ability to plan, I think I’d go for it. The walk through the reserve itself was beautiful, however, and I was really into the ceiba trees. Trail from the Muyil site towards the entrance of the Sian Ka’an reserve. After a short walk you reach the entrance to the Sian Ka’an reserve. There’s a guy in a hut with a really cute dog (we assumed it was his). I think the fee was 50 pesos. After you enter, there’s a boardwalk that leads you through the jungle and out to the freshwater lagoon. Since I started a new job in September, I’ve become more and more familiar with the trees of Northern California. I’ve also found a new appreciation for the color green (don’t worry red, you’ll always be my favorite) and I was really drawn to the variety of green (and other colors) in the jungle. Thanks to the cloudy skies, everything was bathed in that beautiful, diffused light that lets you enjoy the scenery of a dense forest (or jungle) without having to adjust your camera settings every 10 feet. It’s the little things, you know? And that’s that! The rest of the walk back involved a lot of rain and climbing of an observation tower. 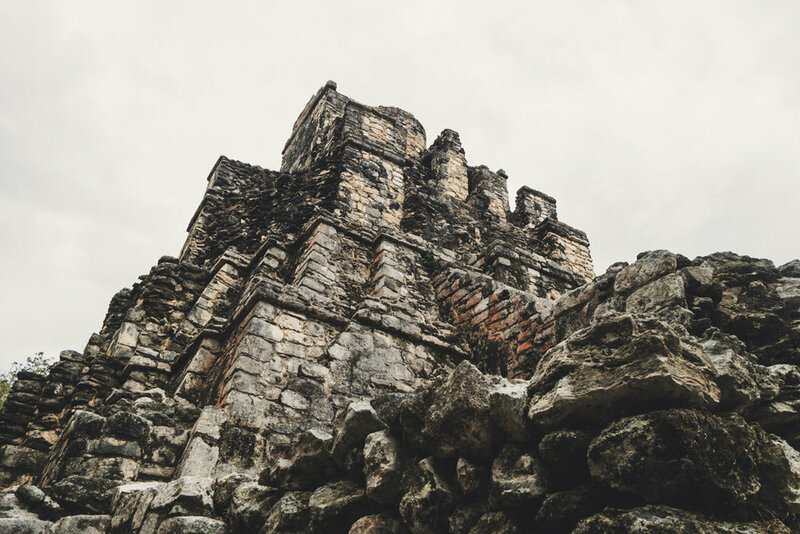 Stay tuned for another post soon about the ruins in Tulum.